I obtained my Ph.D. in organic geochemistry from the University of Bristol in 1985, having worked in the Organic Geochemistry Unit under the direction of Professor J.R. Maxwell. In January 1986, I moved to the School of Geology & Geophysics, University of Oklahoma to work with Professor R.P. Philp on the petroleum geochemistry of the Anadarko Basin. The southern hemisphere beckoned and, in April 1988, I moved on to the School of Applied Chemistry, Curtin University of Technology (formerly WAIT) in Perth, Western Australia. Whilst there, I worked with Professor R. Alexander and Professor R.I. Kagi (Centre for Petroleum and Environmental Organic Geochemistry) on the alkylbiphenyl geochemistry of the Canning Basin and the analysis of halocarbon contamination in the potable water supplies of Perth. In December 1989 I returned to the U.K. and, in February 1990, I was offered a BP EMRA by Professor S.J. Rowland in the Department of Environmental Sciences, University of Plymouth. We applied a mass balance approach to the early diagenesis of organic matter in offshore Peru sediments and observed the formation of a fraction we called "uncharacterised" on a short time-scale. After completing the EMRA, I stayed in Plymouth and accepted the post of Scientific Officer in the Petroleum & Environmental Geochemistry Group (PEGG). In the summer of 2000, I was offered and accepted a Senior Lectureship in the School of Environmental Sciences, now the School of Earth, Ocean and Environmental Sciences. 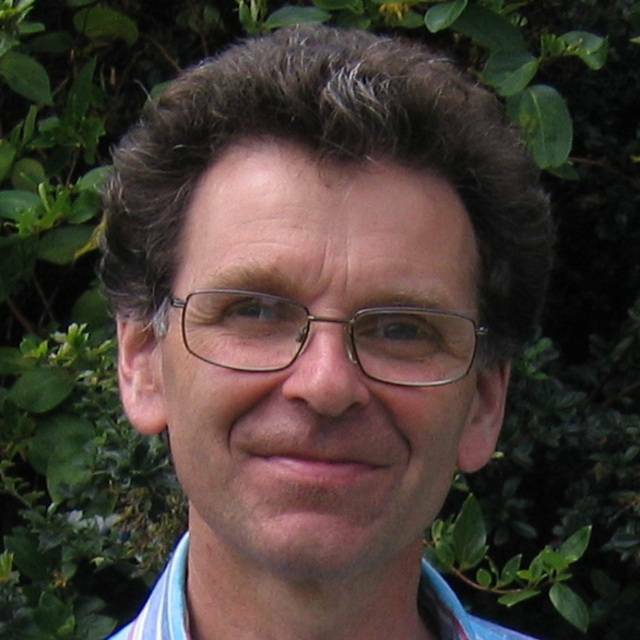 I am a member ot the Royal Society of Chemistry, The Geochemical Society, the British Mass Spectrometry Society and the European Association of Organic Geochemists. Between September 2001 and September 2009 I was on the board of the EAOG as the Membership and Website Officer. From January 2004 to August 2007 I was Chemistry Scheme Manager. I am currently Stage 3 Tutor and Module Leader for one module in Stage 1 of the Chemistry Scheme and also Module Leader of the Stage 3 project module of the Environmental Science Scheme. I teach a significant proportion of the organic chemistry in Stages 1 and 2 of the Chemistry Scheme, including theory and practical sessions. I continue to teach much of a Stage 1 information technology module, also for the Chemistry Scheme. This includes, amongst other topics, instruction on software packages, molecular modelling, web resources and web page construction. I am also involved in a similar module aimed at our Environmental Science students. I also have a commitment to the M.Sc in Applied Marine Sciences. Environmental organic and petroleum geochemistry. Application of GC and GC-MS, in conjunction with the biological marker concept, to problem solving in a wider context. Graph theoretical calculations and their application to geochemically interesting compounds. Computer applications in organic geochemistry. C.E. West University of Plymouth Scholarhip/Astrazeneca Brixham Environmental Laboratory Ph.D.
2007 University of Plymouth, U.K.
2002-2005 B.E. Smith University of Plymouth Studentship Ph.D.
2000-2003 A.M. Booth NERC Studentship Ph.D.
1995-1999 P.A. Sutton University of Plymouth Studentship/NERC Ph.D.
2000 University of Plymouth, U.K.
1994-1997 H.F. Sturt SERC Case Ph.D.
2000 Woods Hole Ocenaographic Institution, U.S.A.
Scarlett, A.G., Clough, R., West, C.E., Lewis, C.A., Booth, A.M. and Rowland, S.J. (2011) Alkylnaphthalenes: Priority pollutants or minor contributors to the poor health of marine mussels? Environmental Science & Technology 45, 6160-6166. [doi: 10.1021/es201234a]. Booth, A.M., Scarlett, A.G., Lewis, C.A., Belt, S.T. and Rowland, S.J. (2008) Unresolved complex mixtures (UCMs) of aromatic hydrocarbons: Branched alkyl indanes and branched alkyl tetralins are present in UCMs and accumulated by and toxic to, the mussel Mytilus edulis. Environmental Science & Technology 42, 8122-8126. [doi: 10.1021/es801601x]. Smith, B.E., Lewis, C.A., Belt, S.T., Whitby, C. and Rowland, S.J. (2008) Effects of alkyl chain branching on the biotransformation of naphthenic acids. Environmental Science & Technology 42, 9323-9328. [doi: 10.1021/es801922p]. Booth, A.M., Aitken, C., Jones, D.M., Lewis, C.A. and Rowland, S.J. (2007) Resistance of toxic alkylcyclohexyltetralins to biodegradation by aerobic bacteria. Organic Geochemistry 38, 540-550. [doi: ]. Booth, A., Sutton, P.A., Lewis, C.A., Lewis, A.C., Scarlett, A., Wing Chau, Widdows, J. and Rowland, S.J. (2007) Unresolved complex mixtures of aromatic hydrocarbons: Thousands of overlooked persistent, bioaccumulative and toxic contaminants in mussels. Environmental Science and Technology 41, 457-464. [doi: 10.1021/es0615829]. Smith, B.E., Sutton, P.A., Lewis, C.A., Dunsmore, B., Fowler, G., Krane, J., Lutnaes, B.F., Brandal, Ø., Sjöblom, J. and Rowland, S.J. (2007) Analysis of 'ARN' naphthenic acids by high temperature gas chromatography and high performance liquid chromatography. Journal of Separation Science 30, 375-380. [doi: 10.1002/jssc.200600266]. Sutton, P.A., Lewis, C.A. and Rowland S.J. (2005) Isolation of individual hydrocarbons from the unresolved complex hydrocarbon mixture of a biodegraded crude oil using preparative capillary gas chromatography. Organic Geochemistry 36, 963-970. [doi: 10.1016/j.orggeochem.2004.11.007]. Massé, G., Belt, S.T., Allard, W.G., Lewis, C.A., Wakeham, S.G. and Rowland, S.J. (2004) Occurrence of novel monocyclic alkenes from diatoms in marine sedimenting particles and sediments. Organic Geochemistry 35, 813-822. Johns, L., Belt, S.T., Lewis, C.A., Rowland, S.J., Massé, G., Robert J.-M. and König W.A. (2000) Configurations of polyunsaturated sesterterpenoids from the diatom, Haslea ostrearia. Phytochemistry 53, 607-611. Rowland, S.J., Belt, S.T., Johns, L., Wraige, E.J., Lewis, C.A., Robert, J.-M. Massé, G., König, W., Frampton, D., Blackburn, S., Revill, A.T. and Volkman, J.K. (1999) Controls on the sedimentary distributions of the highly branched isoprenoid lipids of diatomaceous algae. 19th International Meeting on Organic Geochemistry, Istanbul, Turkey, 6-10 September 1999, Abstracts Part 1, 04B, Tubitak Marmara Research Center, 17-18. Johns, L., Wraige, E.J., Belt, S.T., Lewis, C.A., Massé, G., Robert, J.-M. and Rowland, S.J. (1999) Identification of a C25 highly branched isoprenoid (HBI) diene in Antarctic sediments, Antarctic sea-ice diatoms and cultured diatoms. Org. Geochem. 30, 1471-1475. Sutton, P.A., Lewis, C.A., Patell, Y., Seddon, K.R. and Rowland, S.J. (1998) Attempted dissolution of 'insoluble organic matter' from Methanococcus jannaschii and Rostherne Mere (UK) sediment with 1-ethyl-3-methyl imidazolium chloride/aluminium (III) chloride. Ancient Biomolecules 2, 195-207. Heath, D.J., Lewis, C.A. and Rowland, S.J. (1997) The use of high temperature gas chromatography to study the biodegradation of high molecular weight hydrocarbons. Org. Geochem. 26, 769-785. Lewis, C.A. (1997) Analytical techniques in organic geochemistry. In: Modern Analytical Geochemistry (Edited by Gill, R), pp. 243-272, Addison Wesley Longman Limited, Harlow, U.K.
Wraige, E.J., Belt, S.T., Lewis, C.A., Cooke, D.A., Robert, J.-M., Massé, G. and Rowland, S.J. (1997) Variations in structures and distributions of C25 highly branched isoprenoid (HBI) alkenes in cultures of the diatom, Haslea ostrearia (Simonsen). Org. Geochem. 27, 497-505.